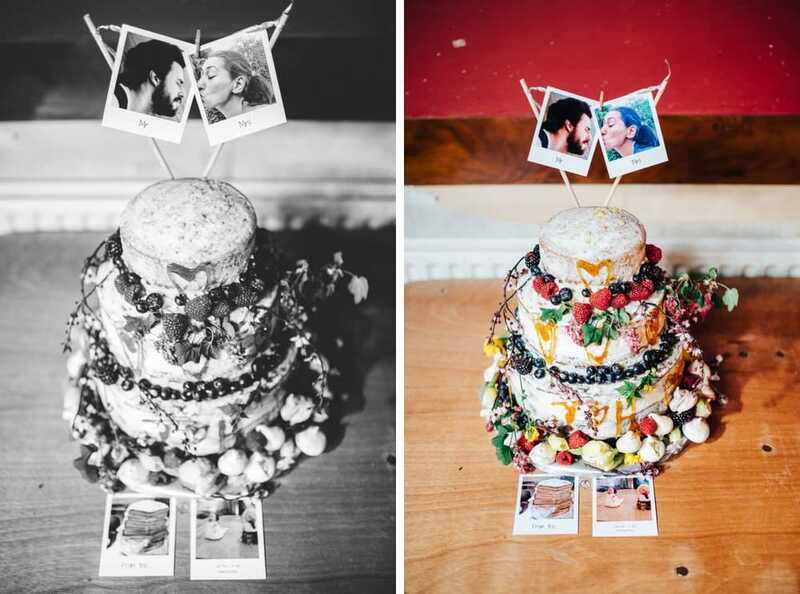 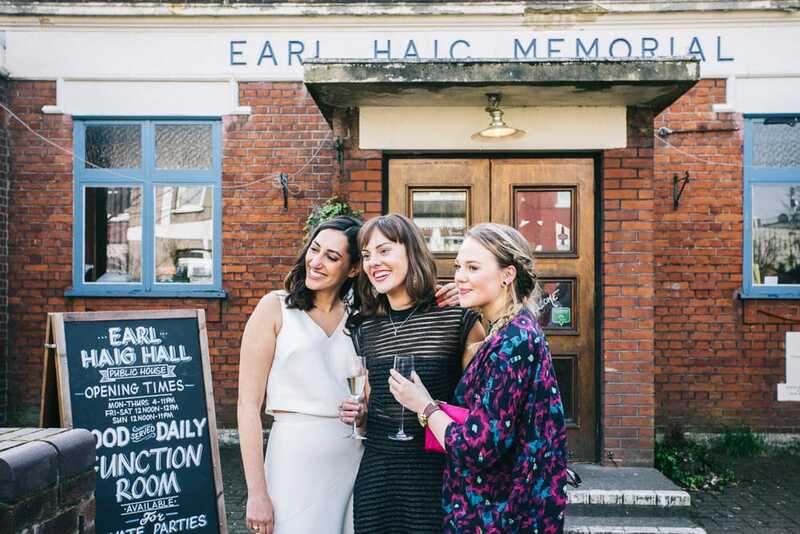 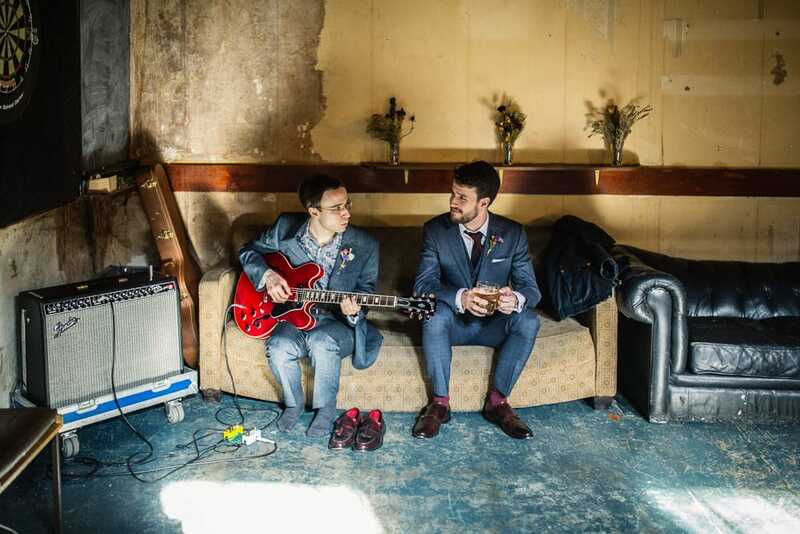 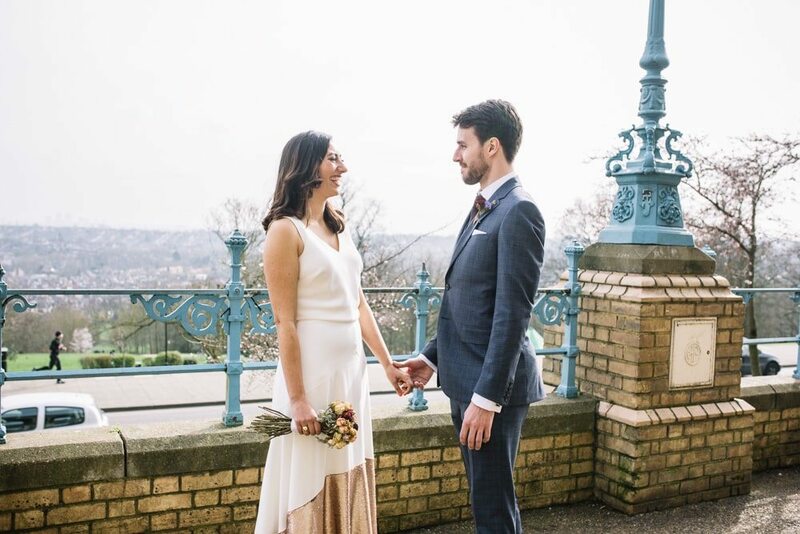 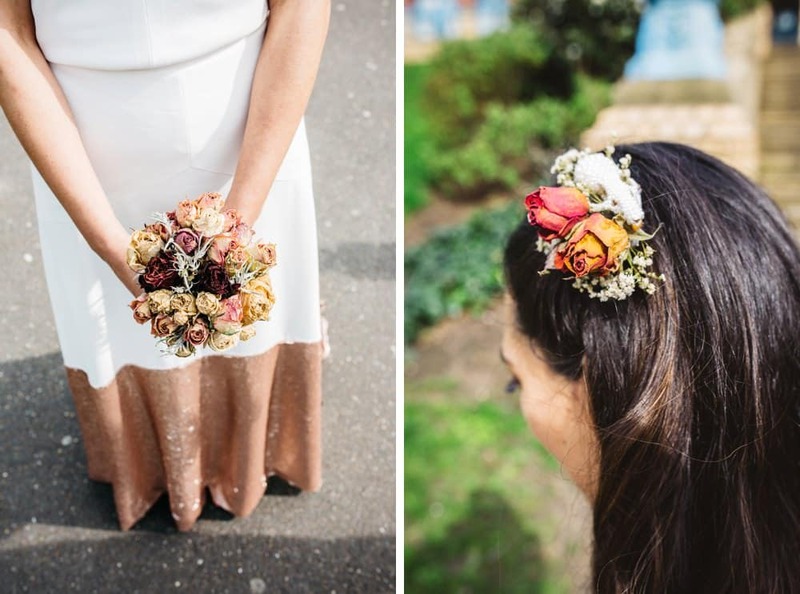 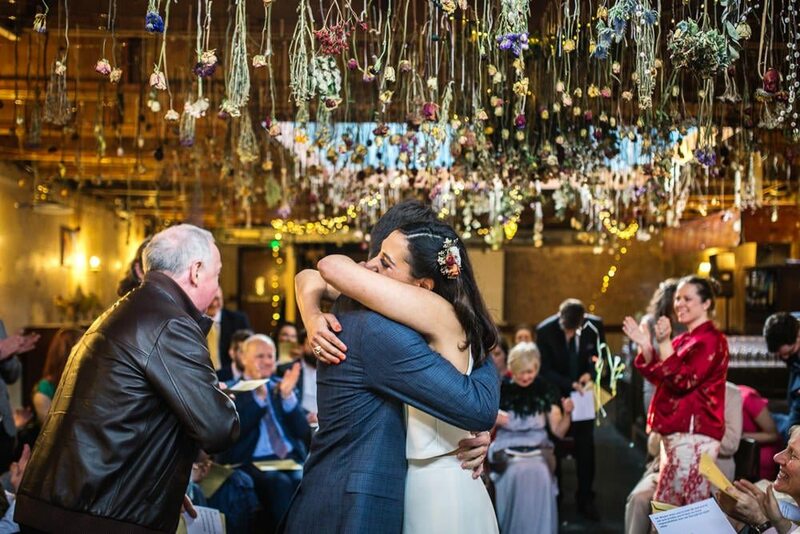 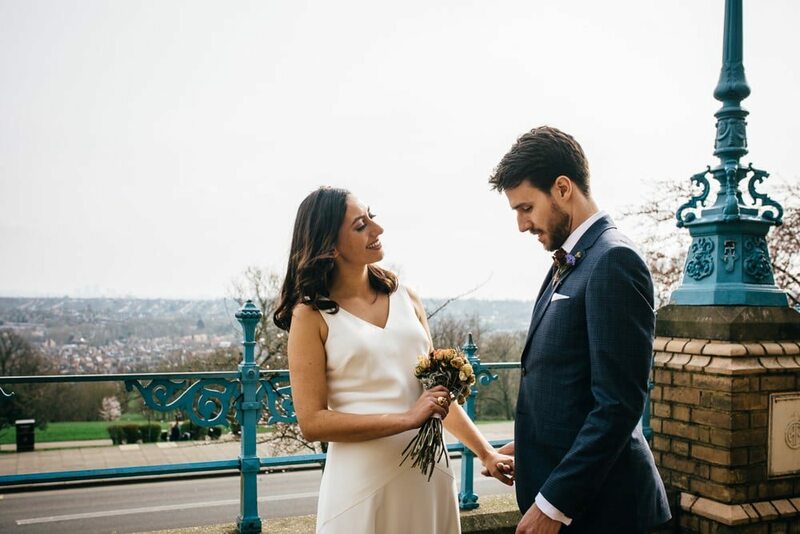 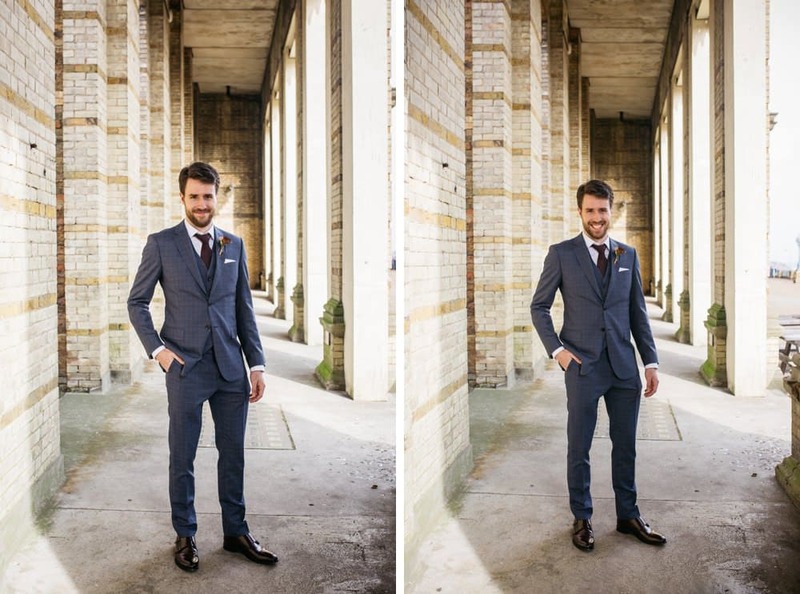 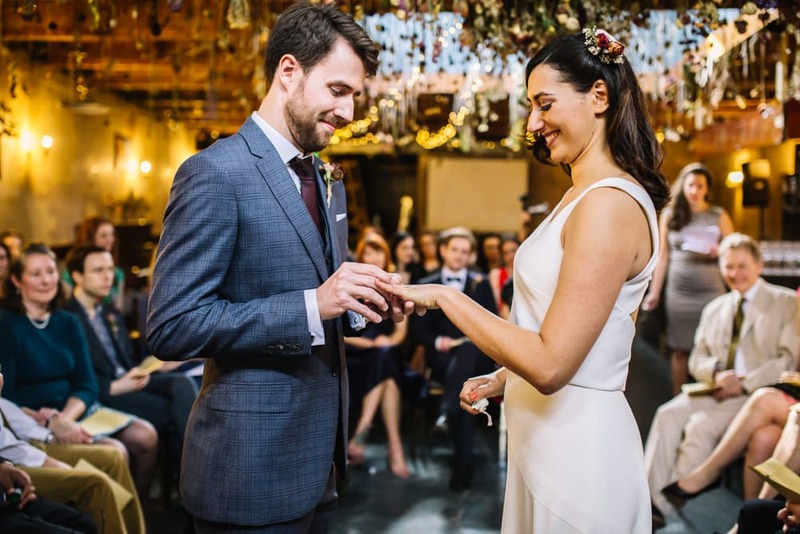 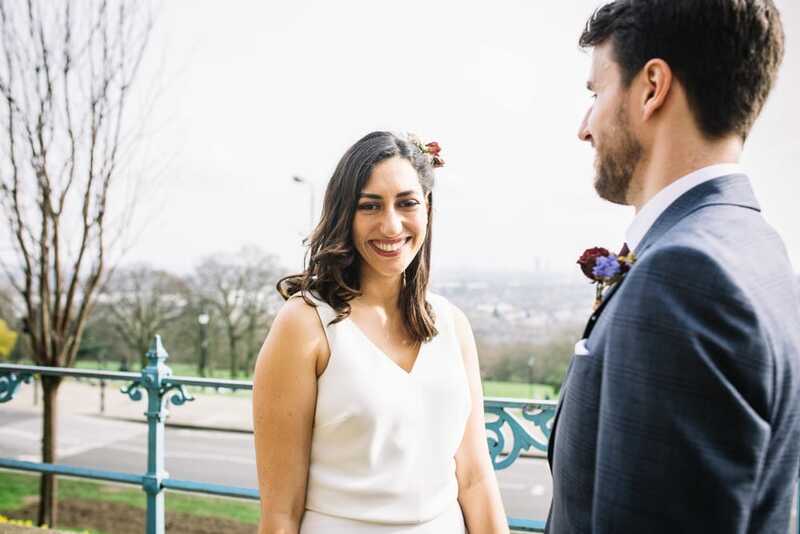 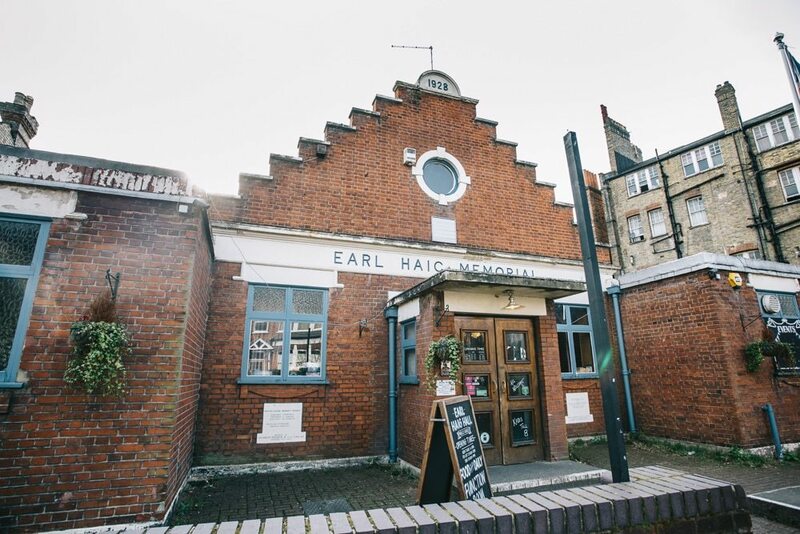 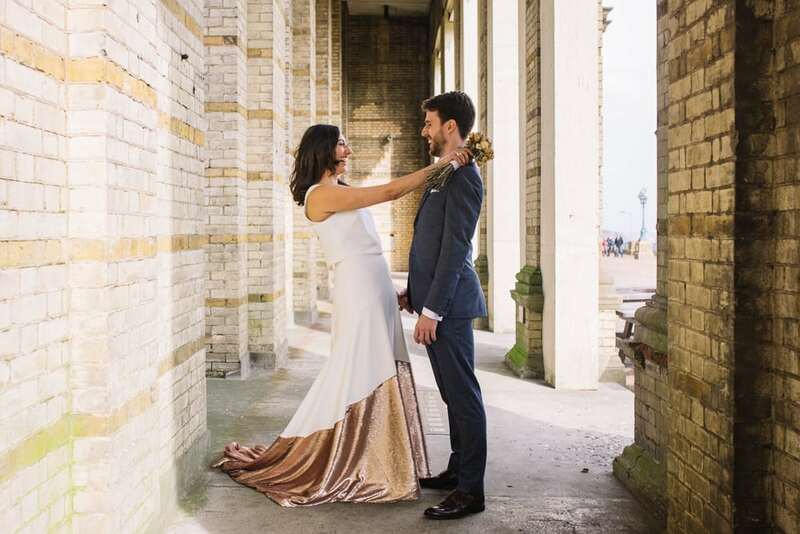 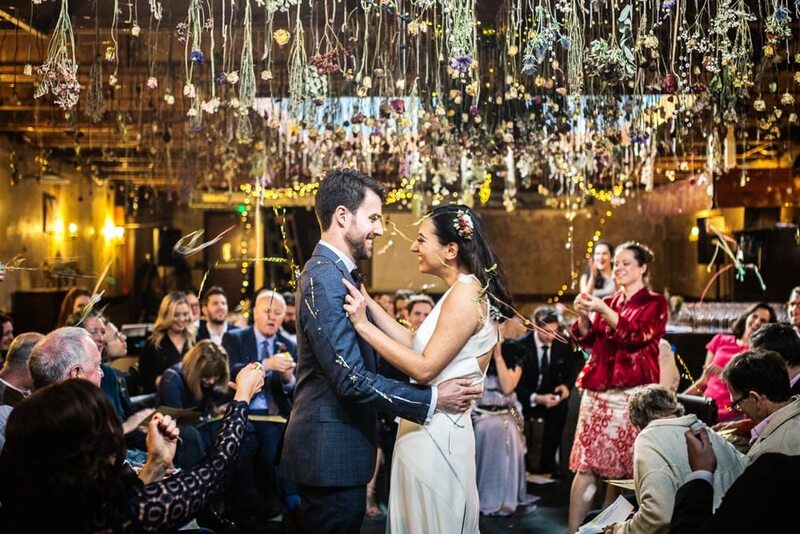 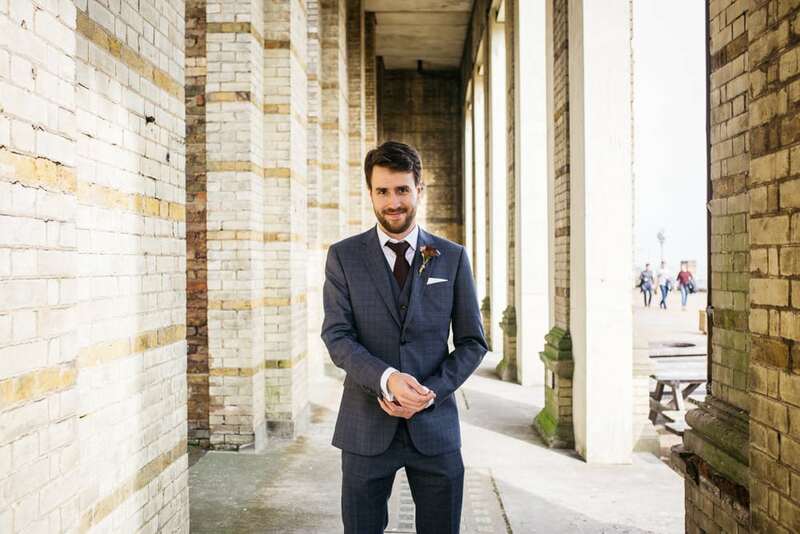 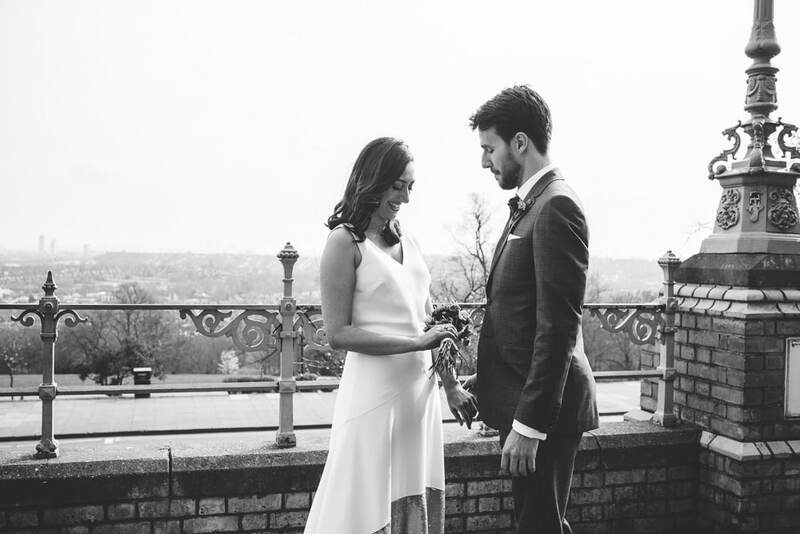 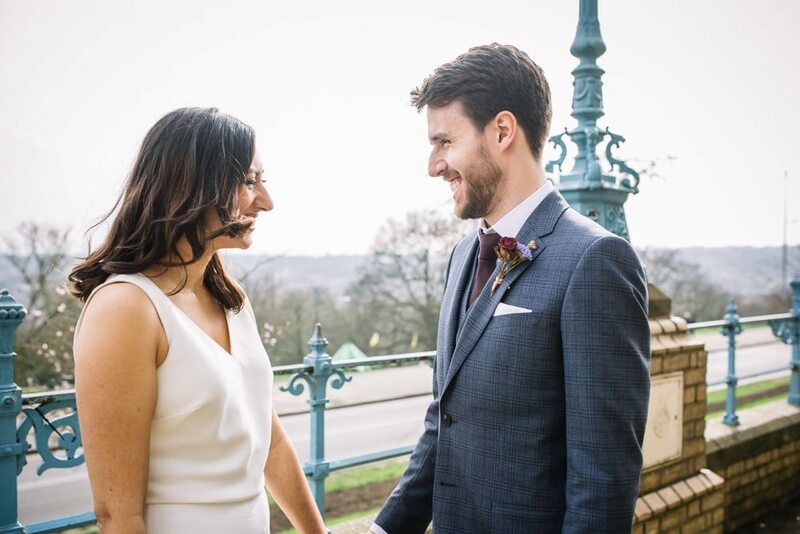 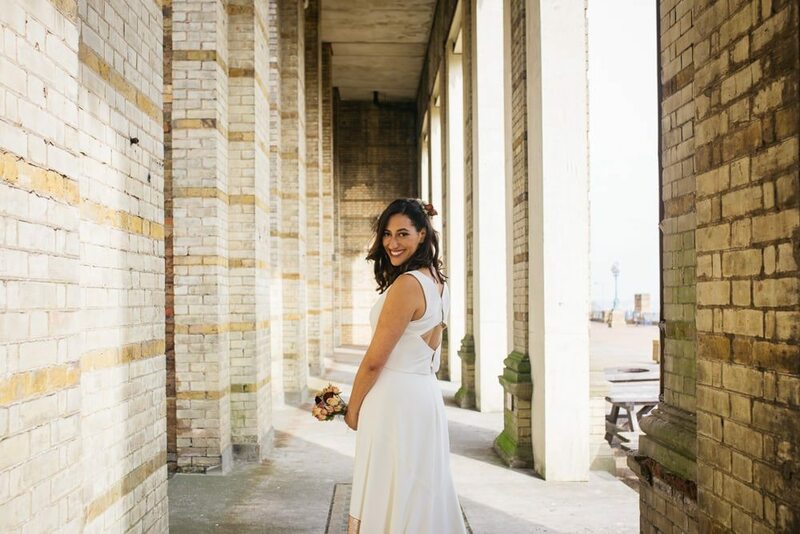 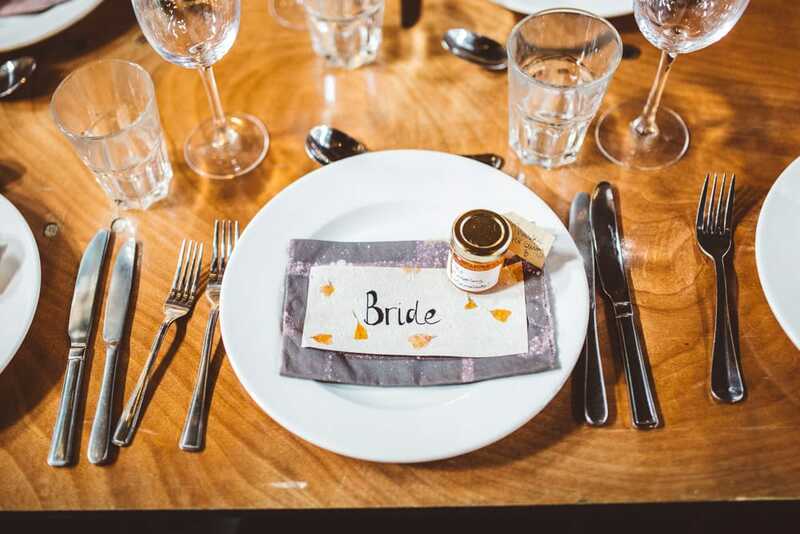 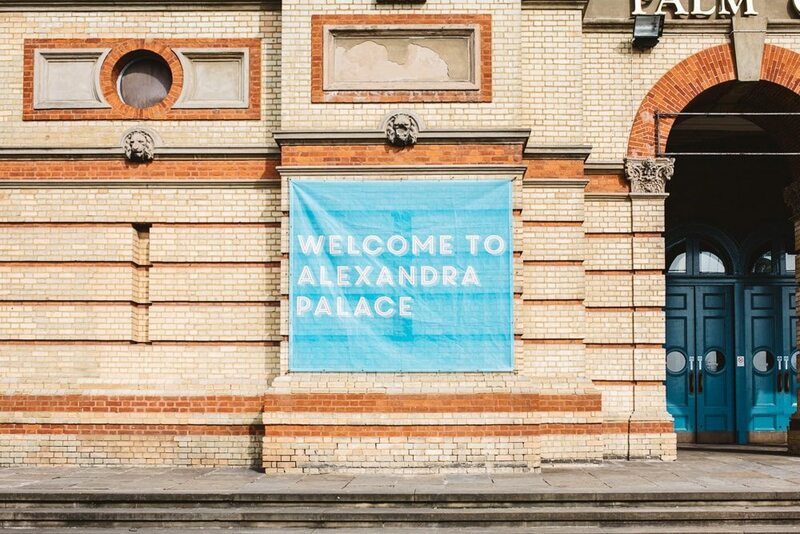 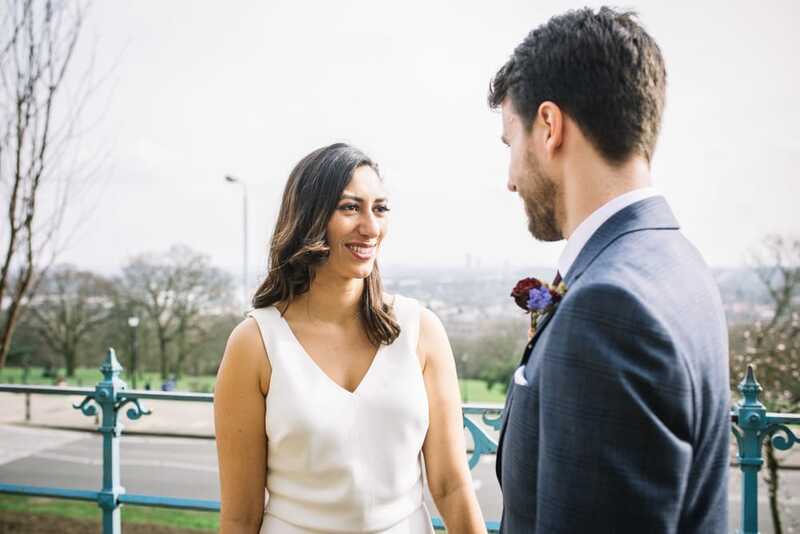 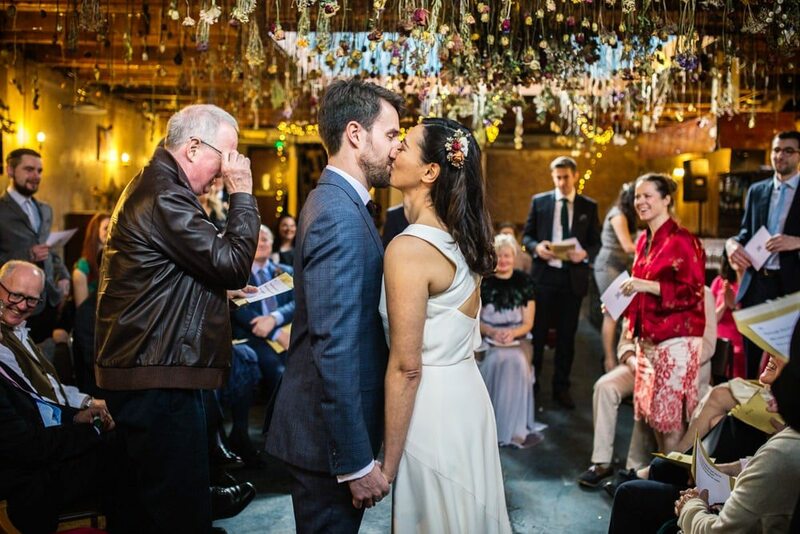 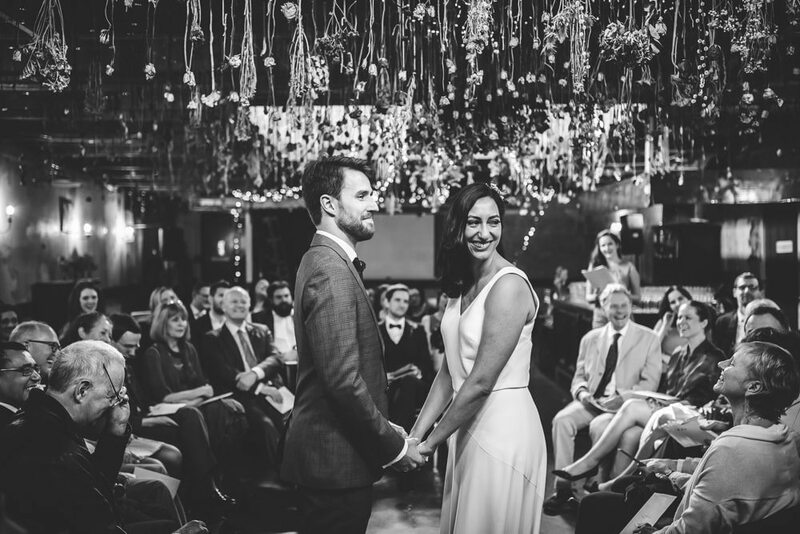 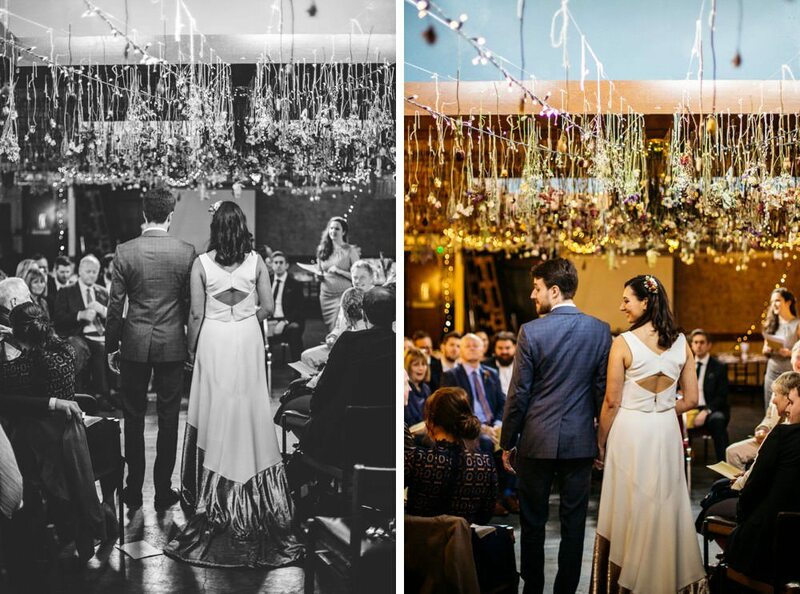 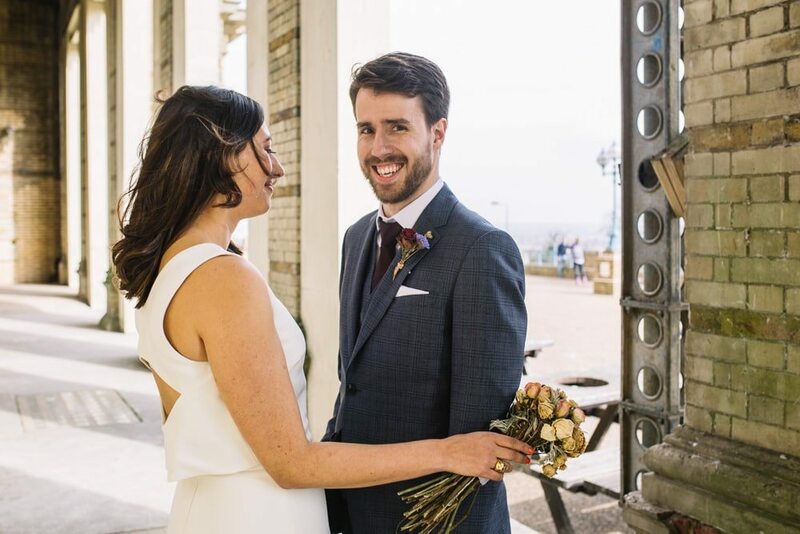 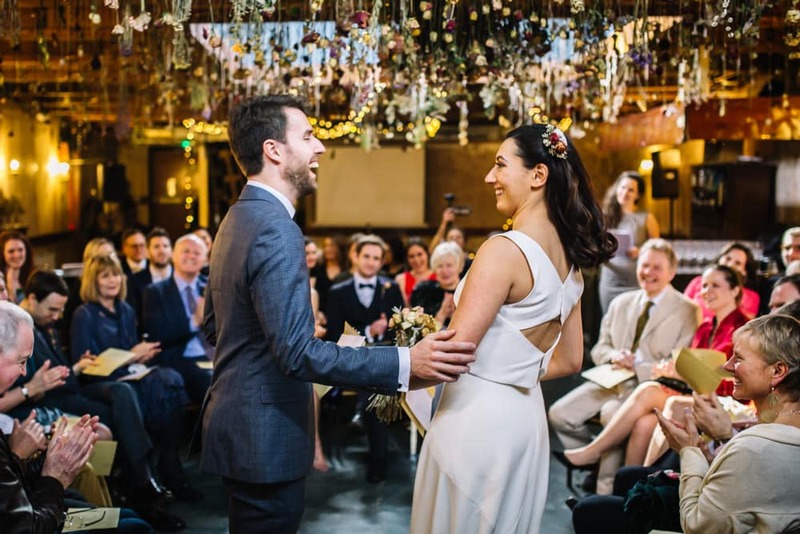 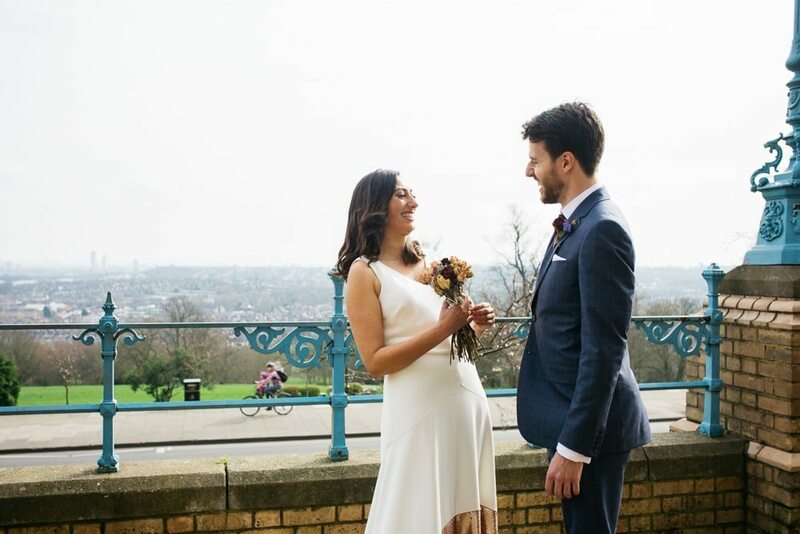 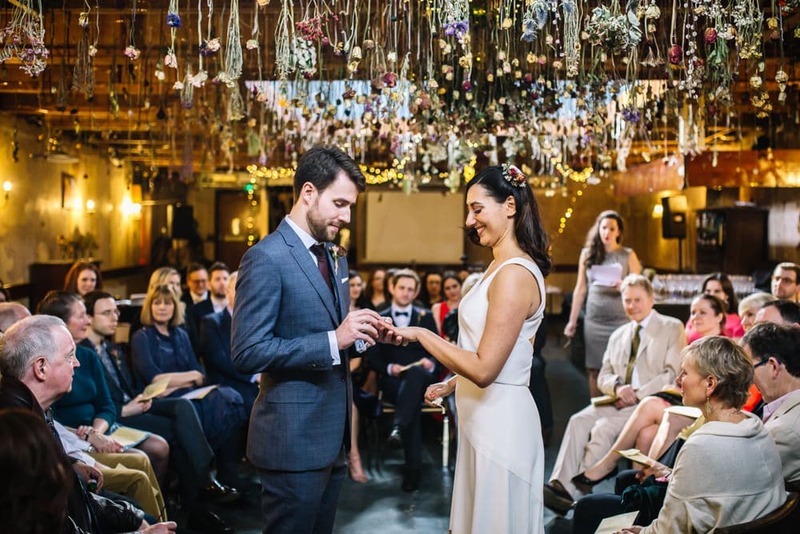 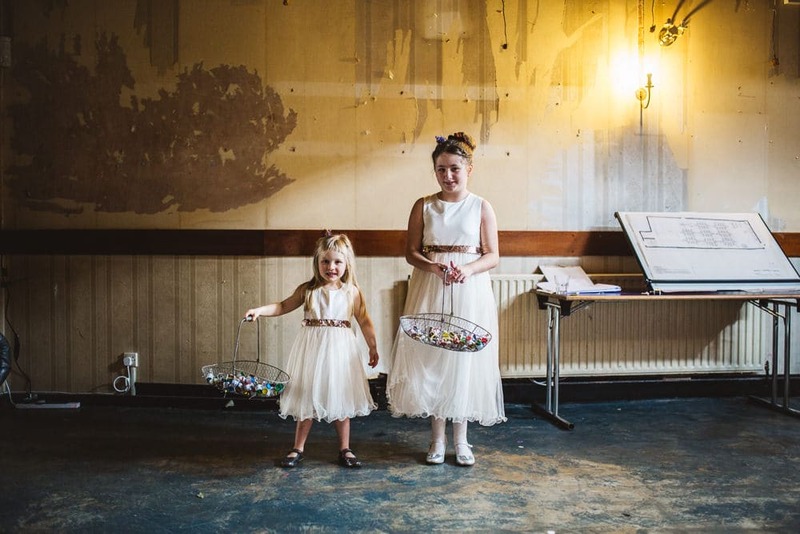 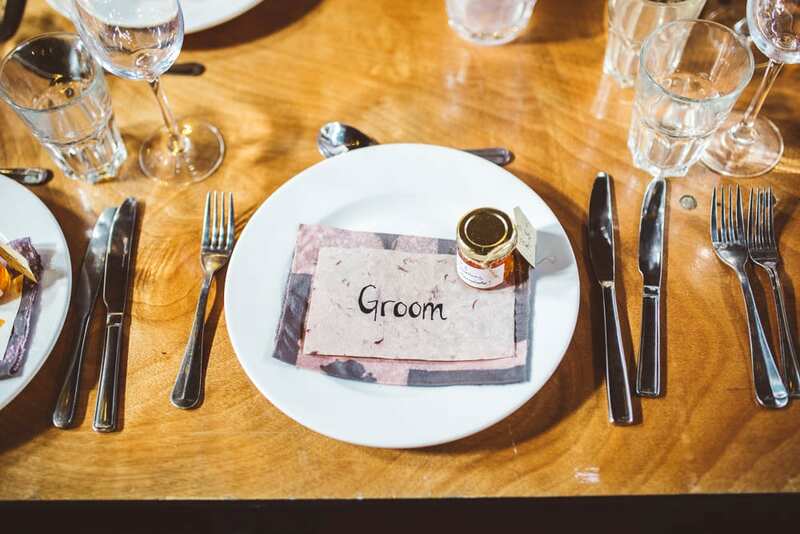 I loved this London wedding for so many reasons! 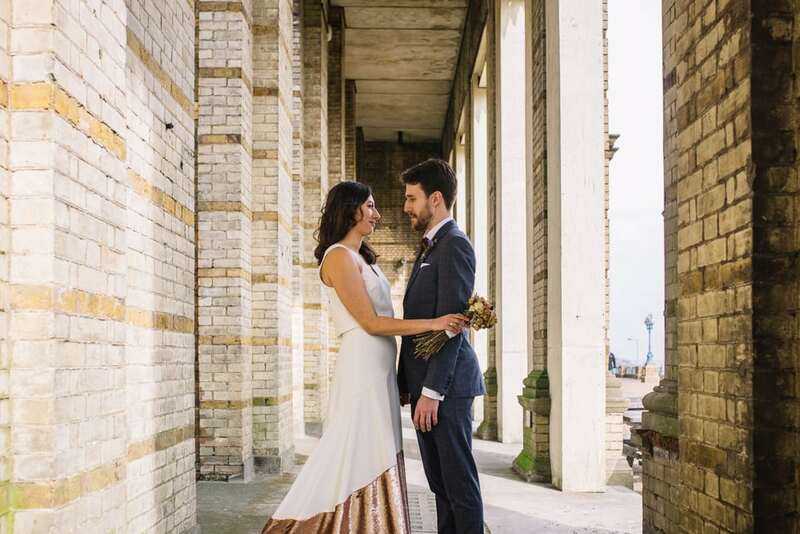 Hanna, an architect and artist and Jacob, a doctor, really made this day their own. 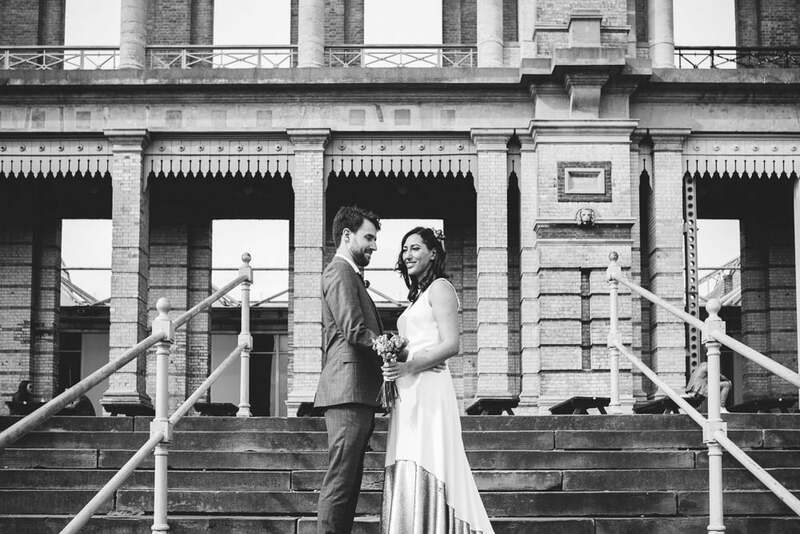 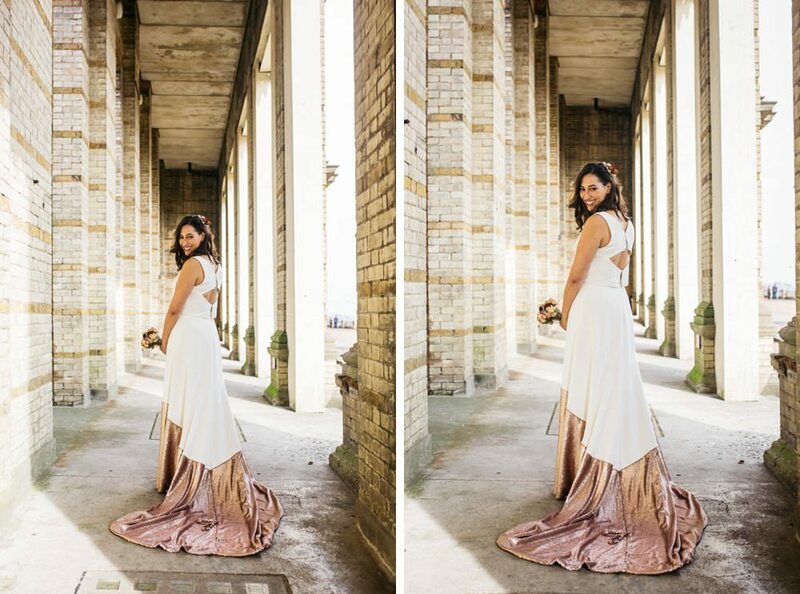 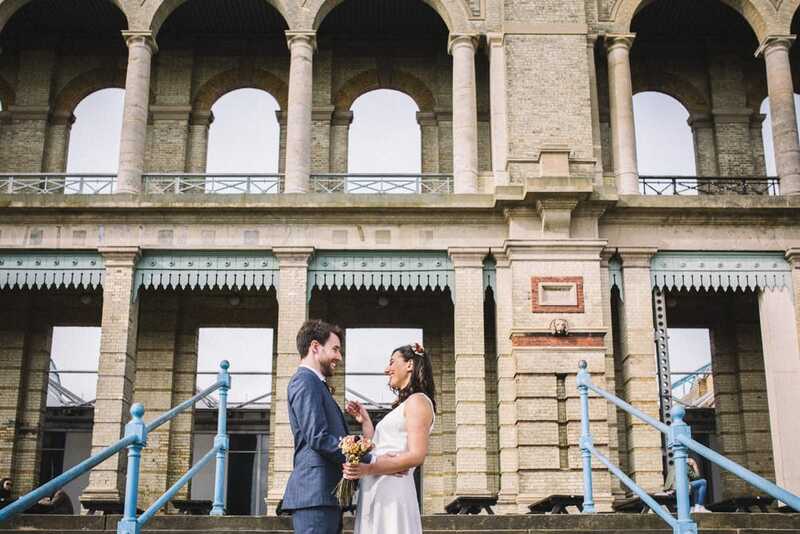 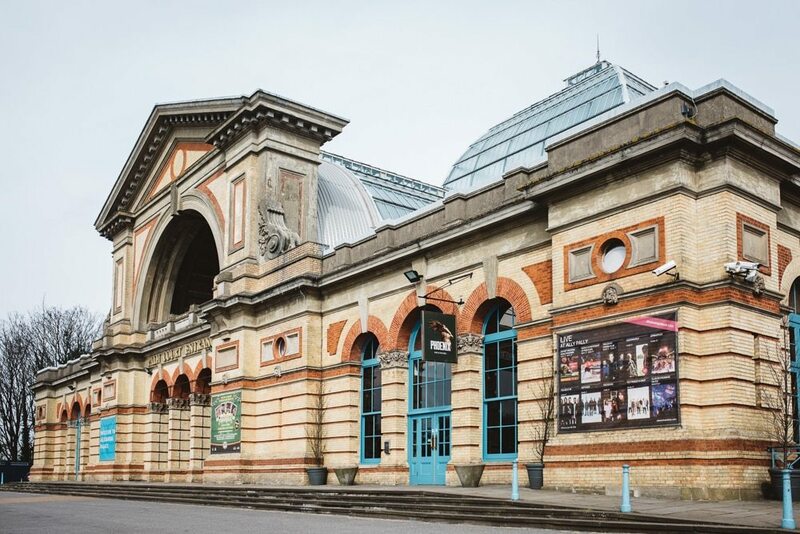 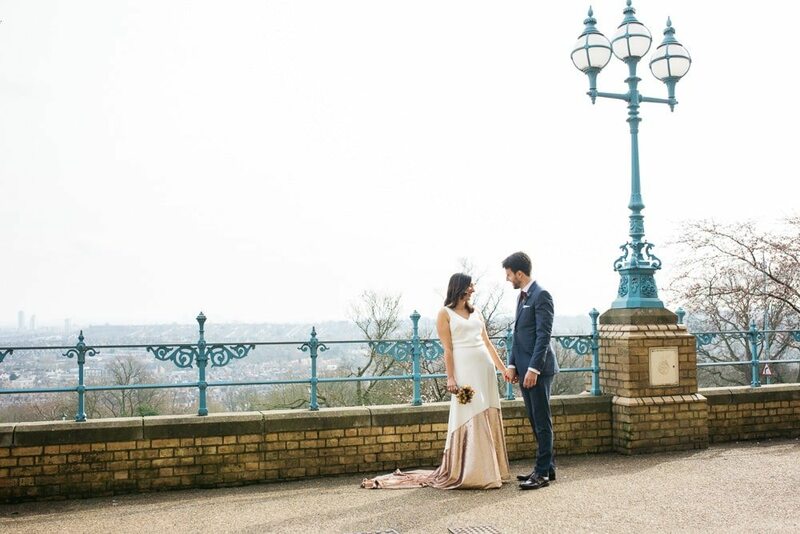 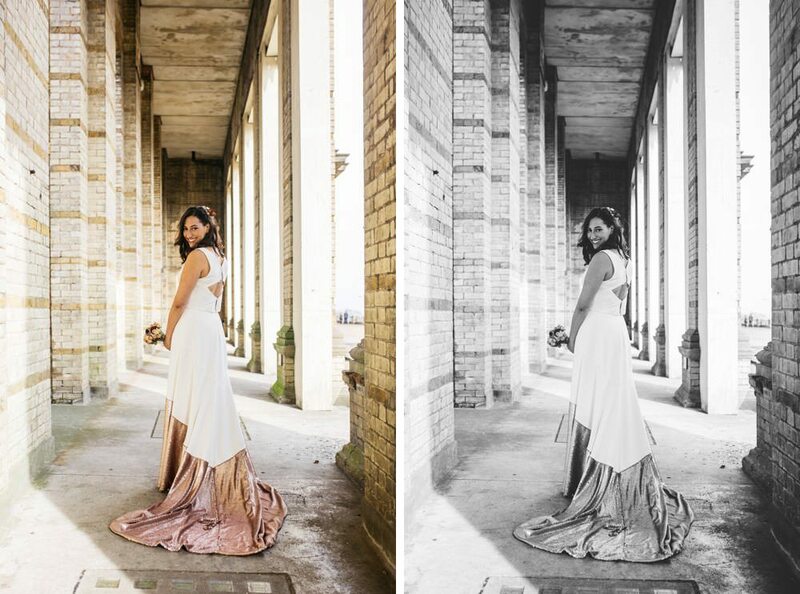 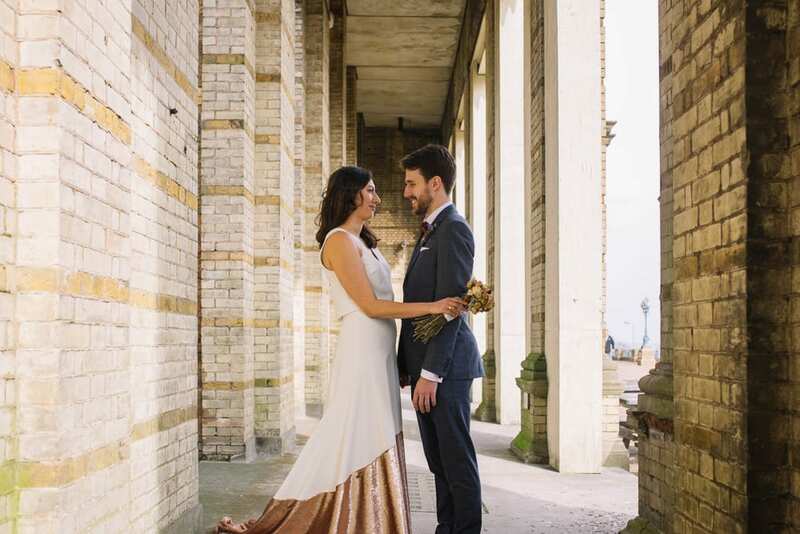 We started the day with some romantic portraits at Alexandra Palace, as it was a place quite special to the two of them. 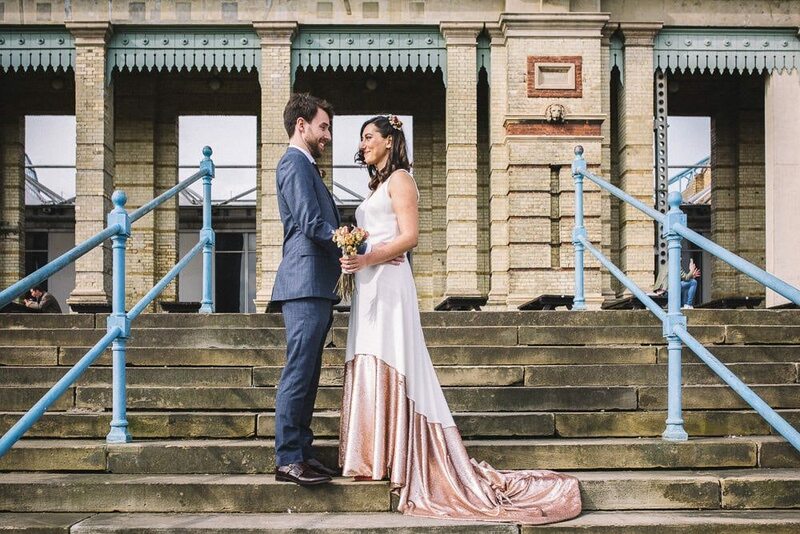 It was a beautiful day and the sun really made the sequins sparkle on Hanna’s amazing gown by Linda Brooker. 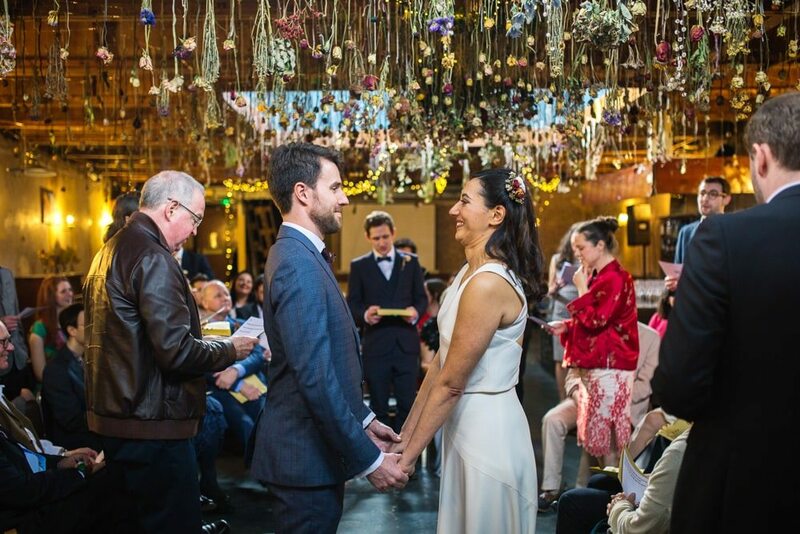 Having already done the legal bit the previous day, Hanna and Jacob were able to have a unique and fun ceremony with input from all their friends and family. 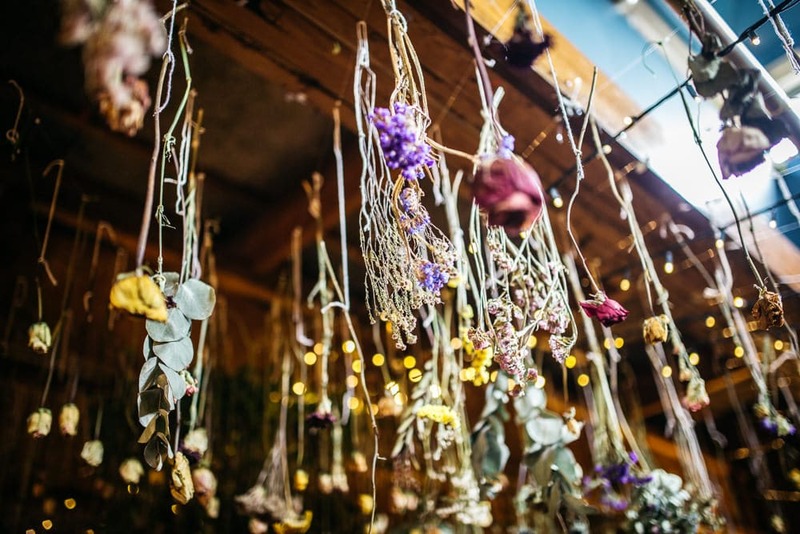 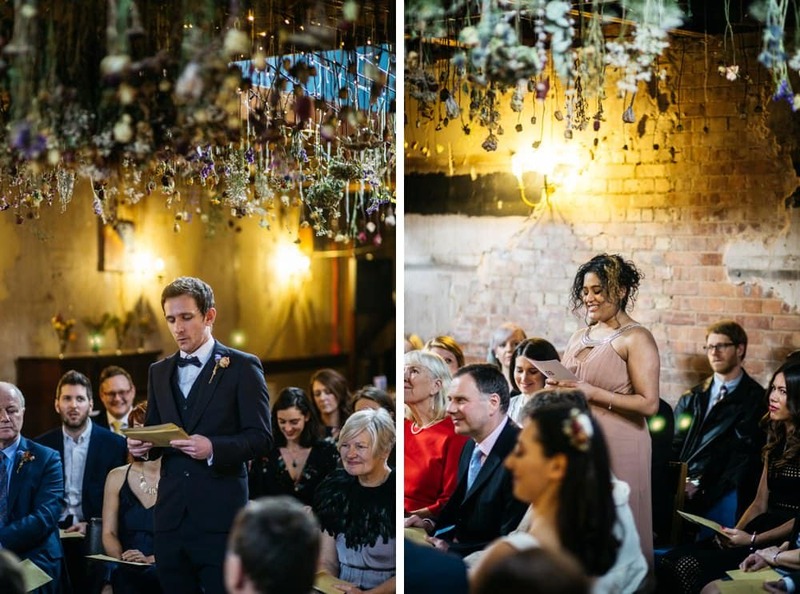 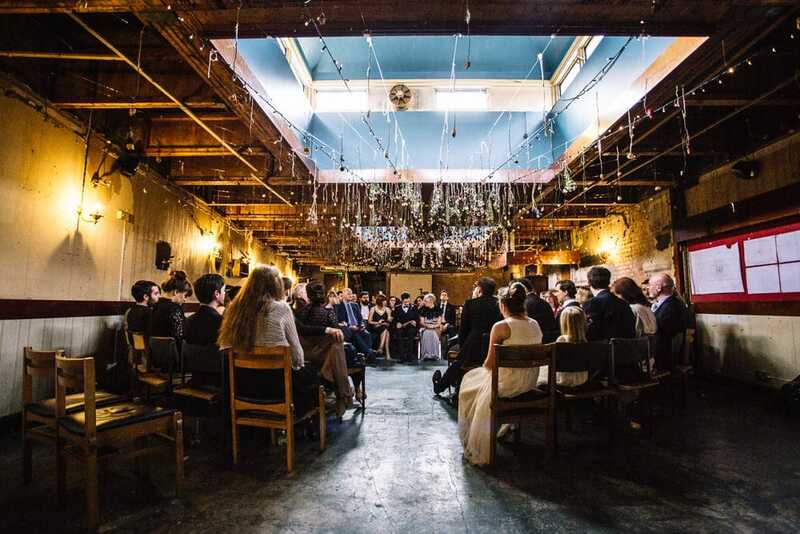 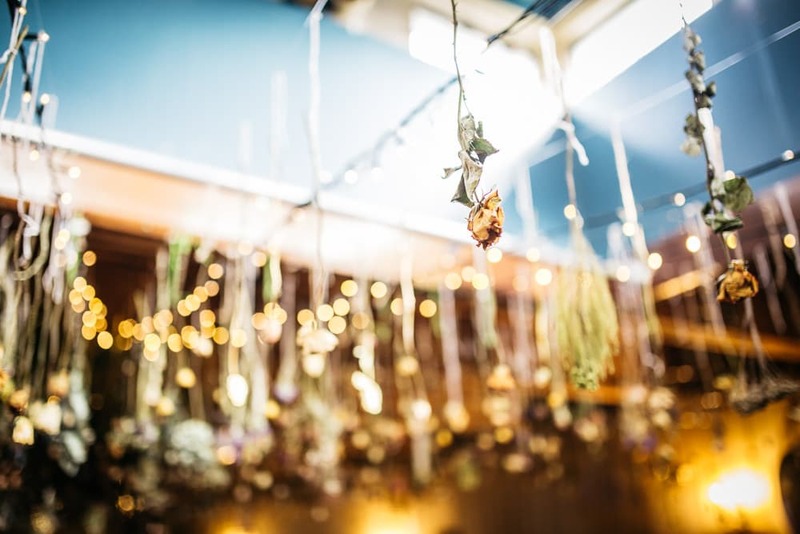 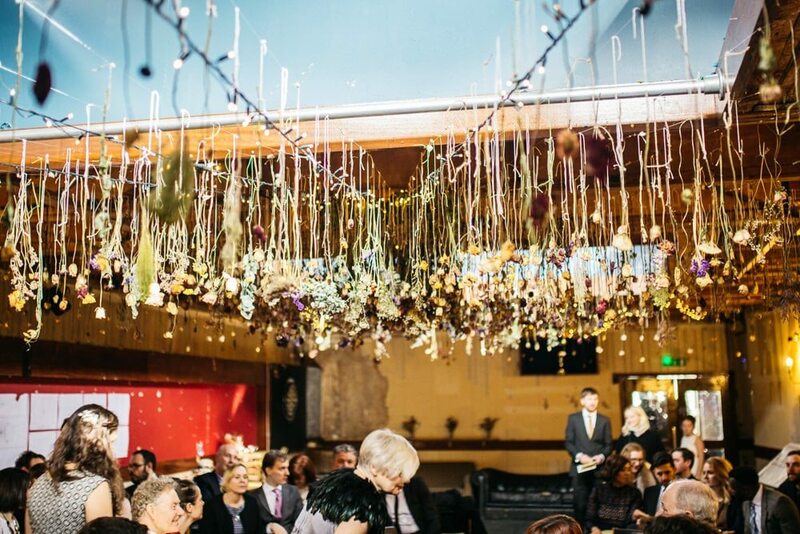 All the guests were arranged in a circle beneath a beautiful installation of dried flowers that Hanna had created. 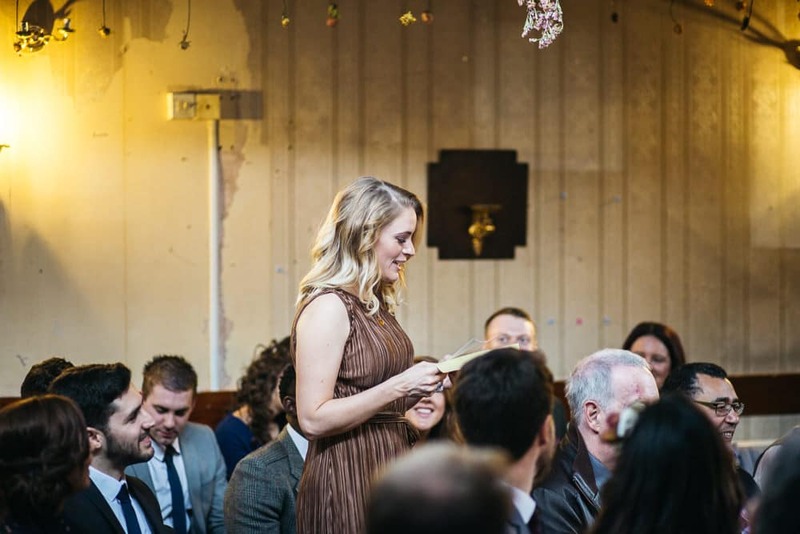 Each guest had a numbered envelope – when a number was called out, that guest stood up to read their part. 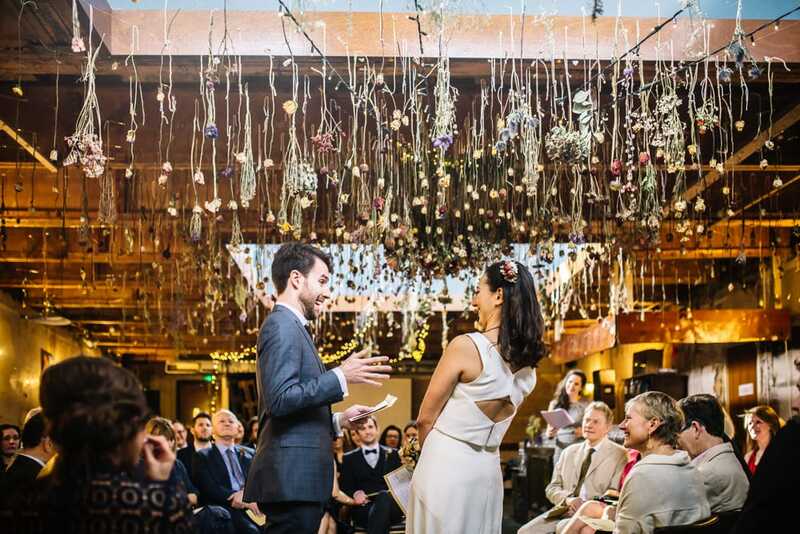 The ceremony was full of sweet and funny moments from this lovely couple’s lives from childhood all the way up to that very moment. 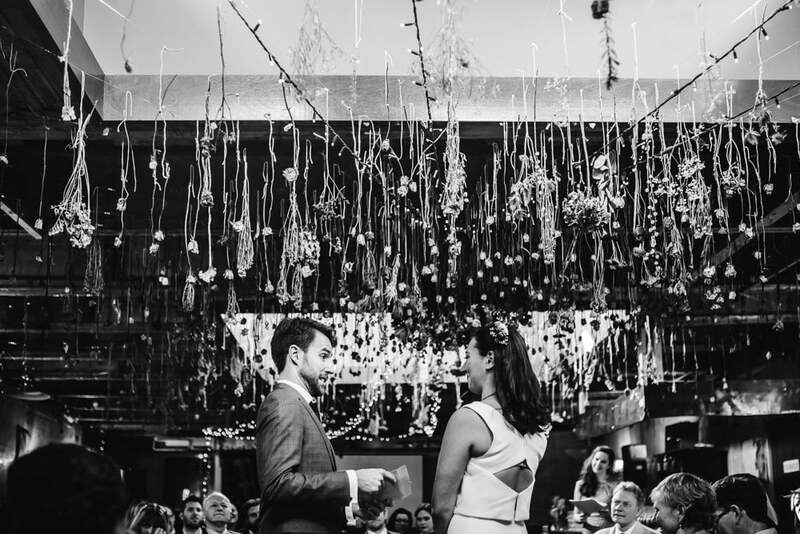 It really was very special to witness. 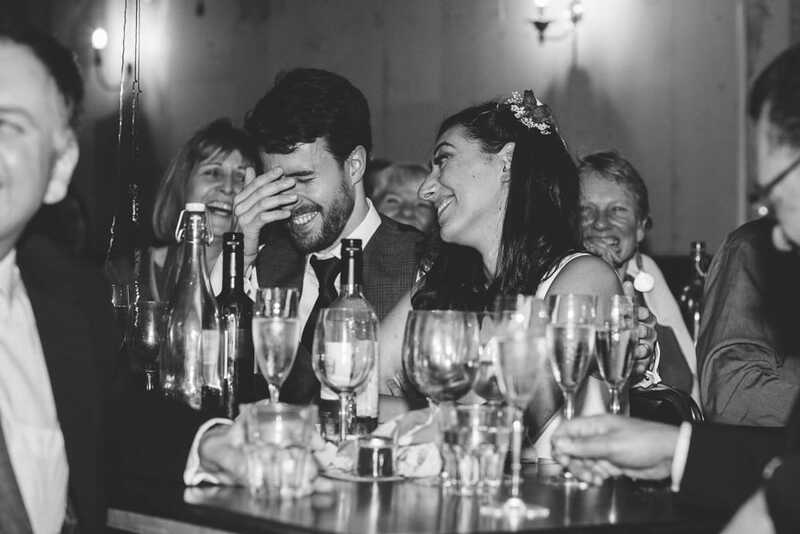 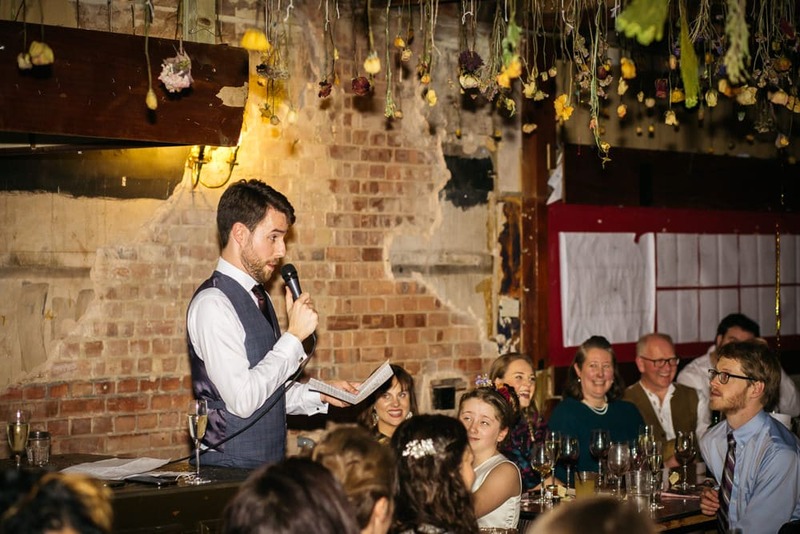 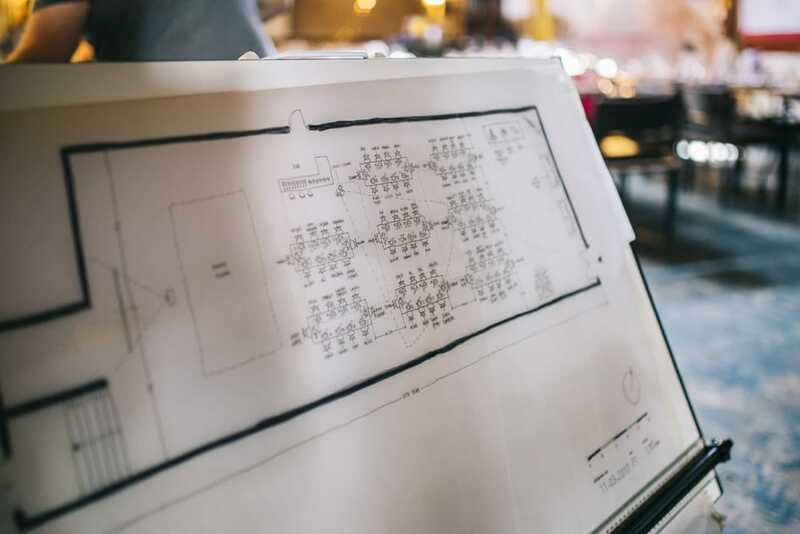 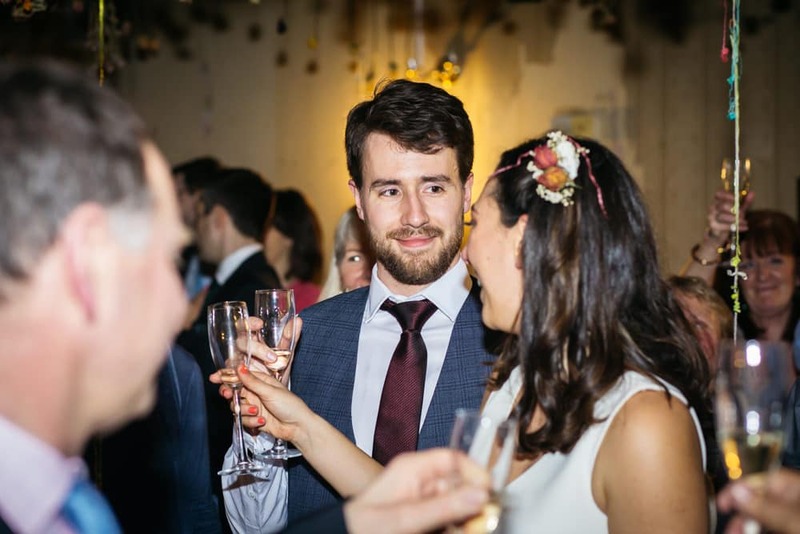 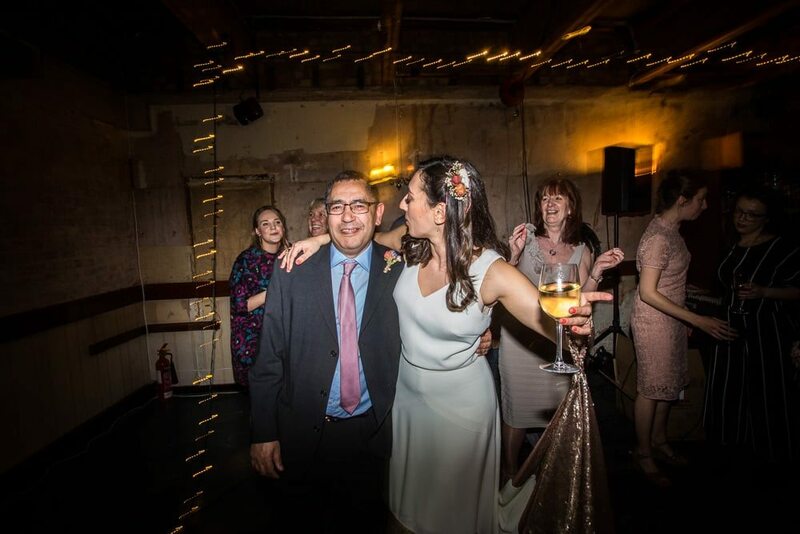 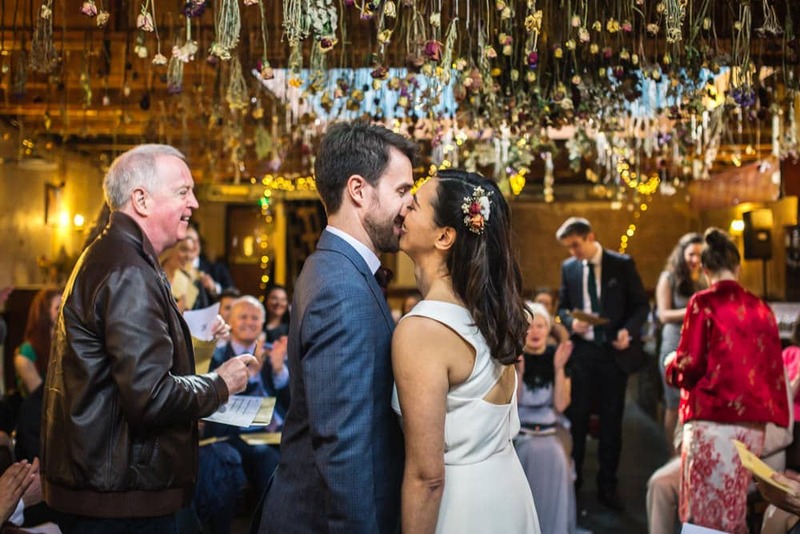 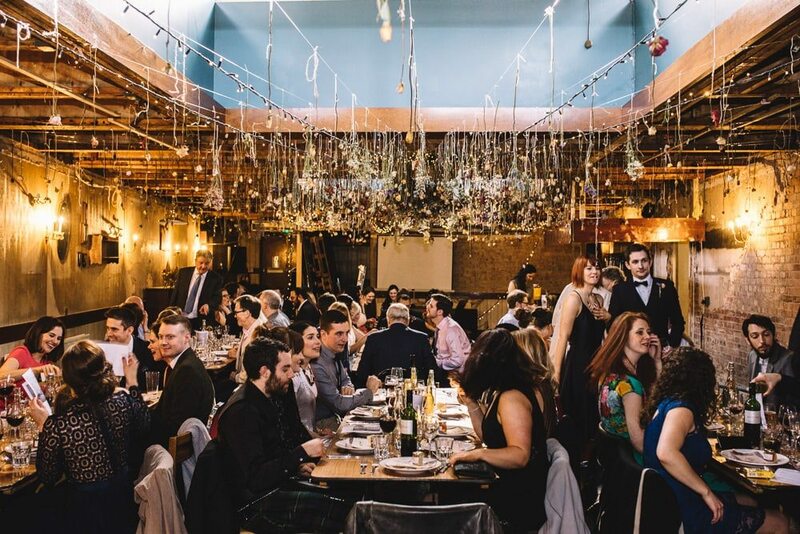 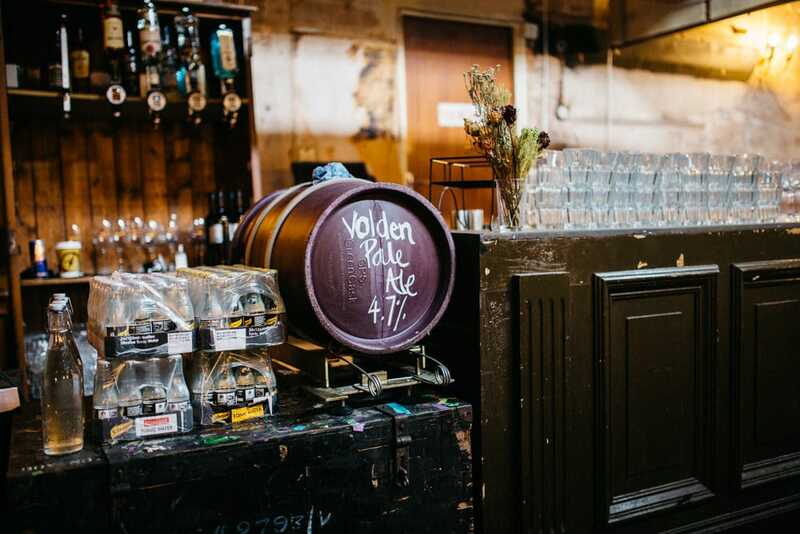 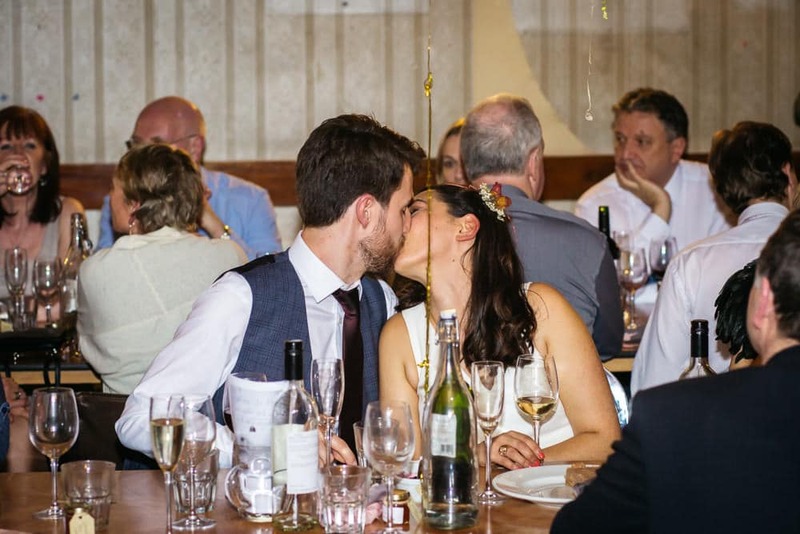 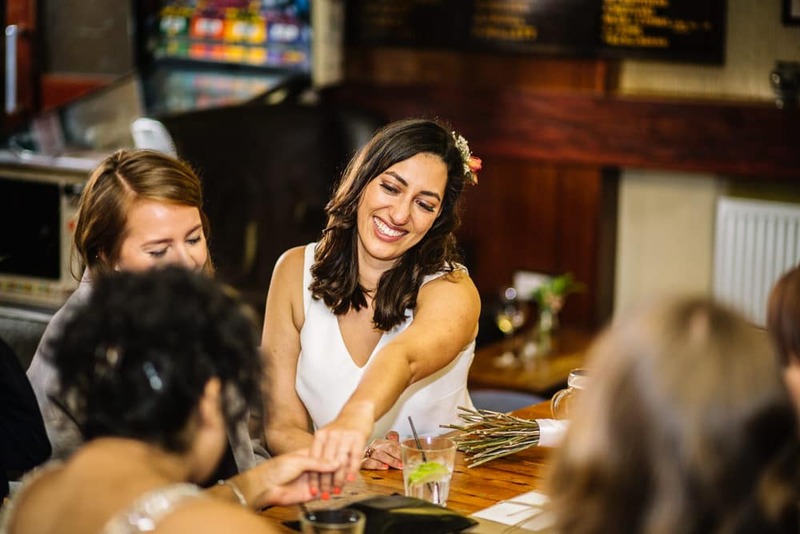 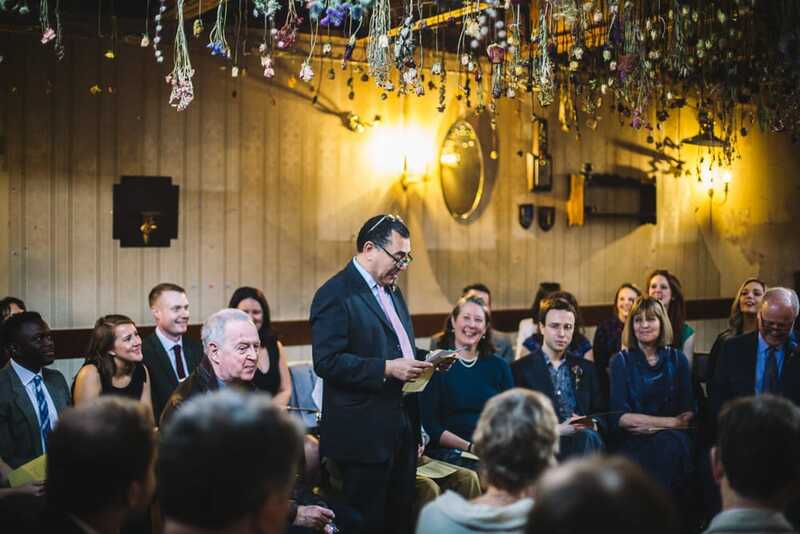 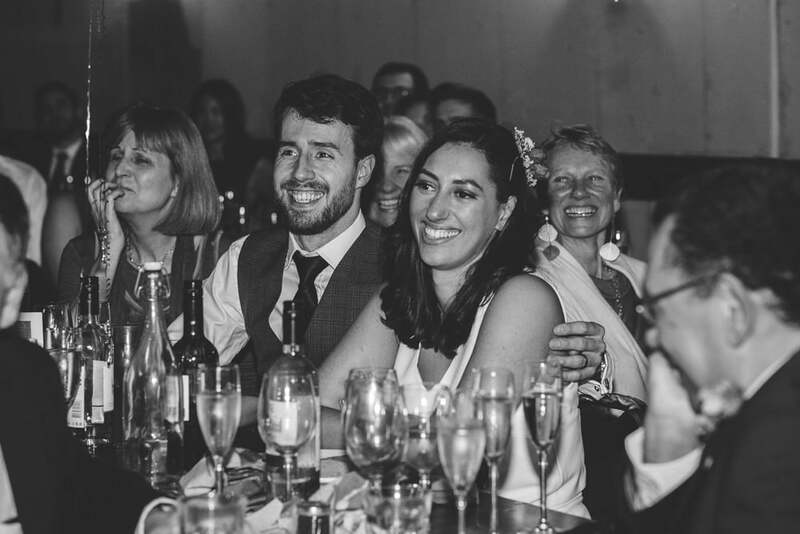 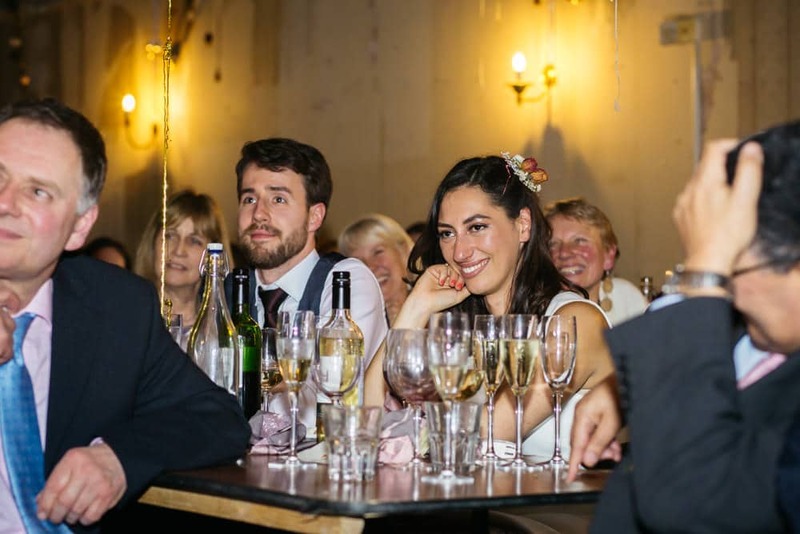 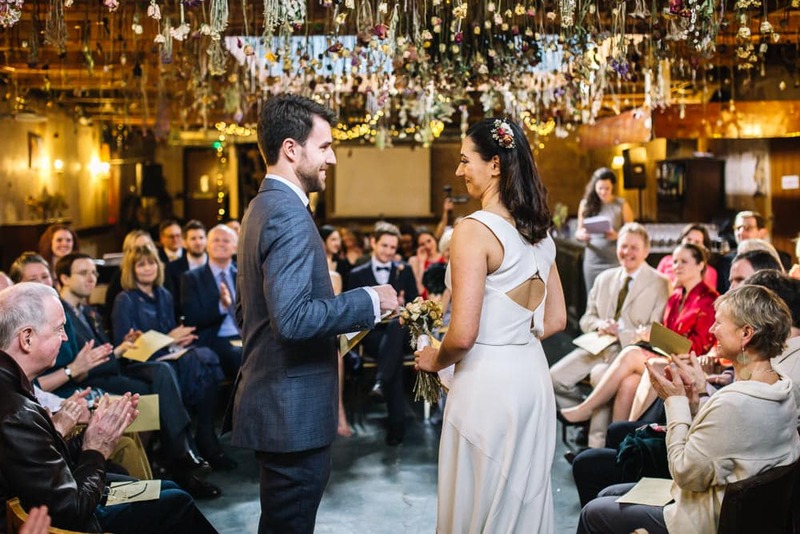 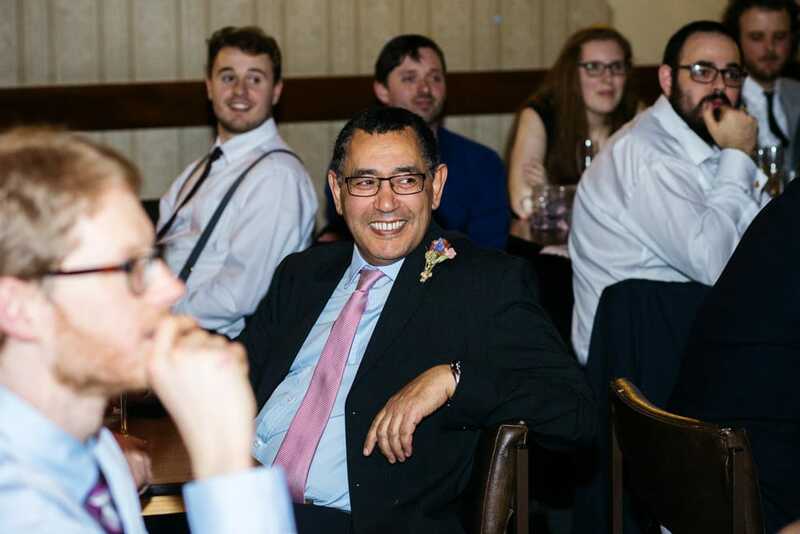 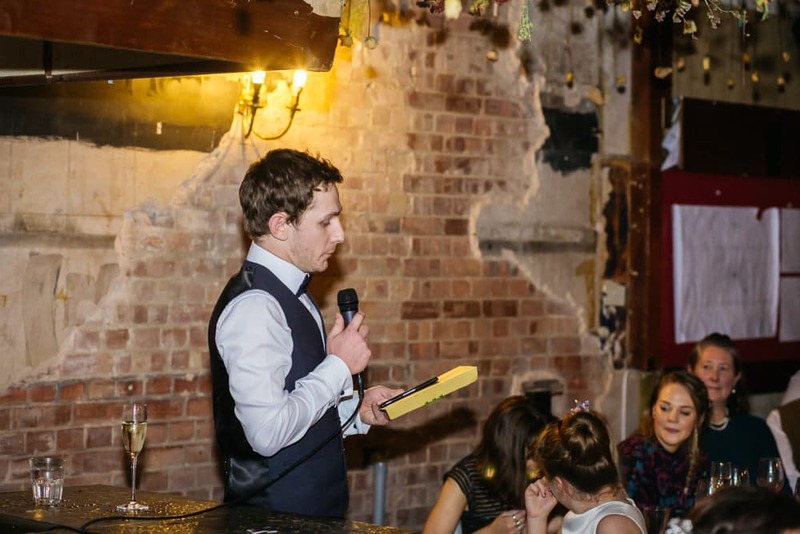 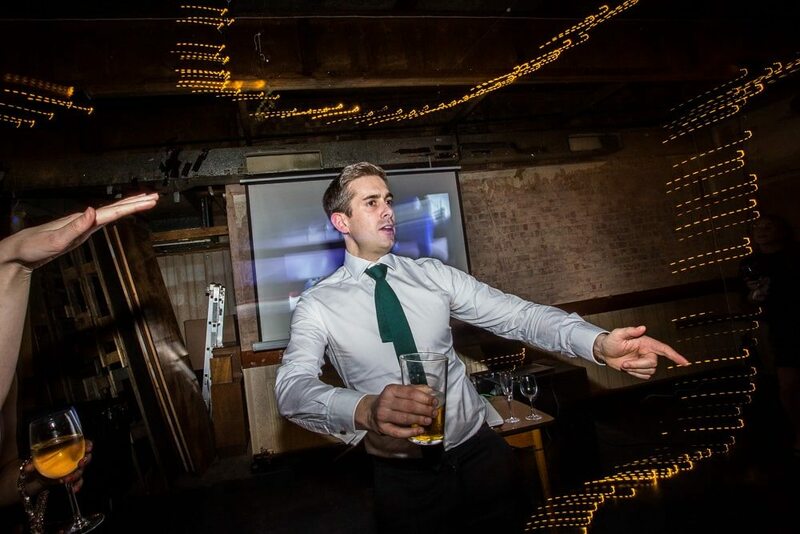 Another thing I loved about Hanna & Jacob’s wedding was the evening’s proceedings – with a speech that turned into a six-round pub quiz (quite, fitting, given that we were in a pub!) 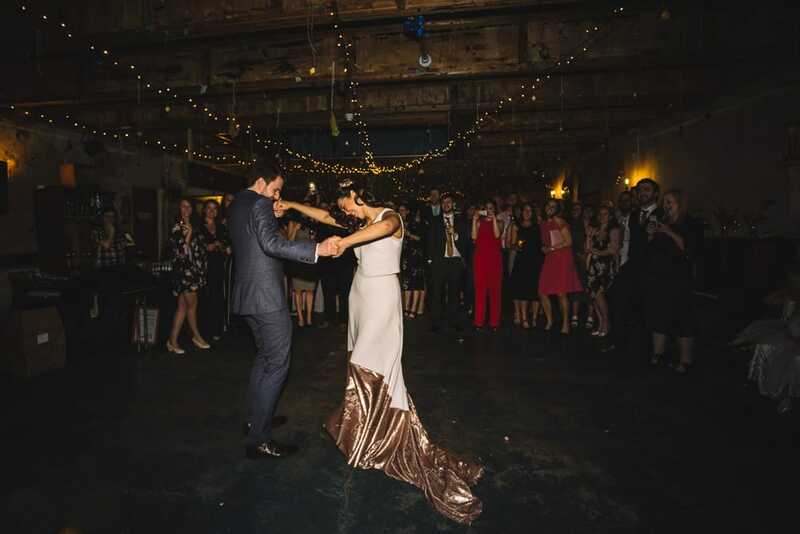 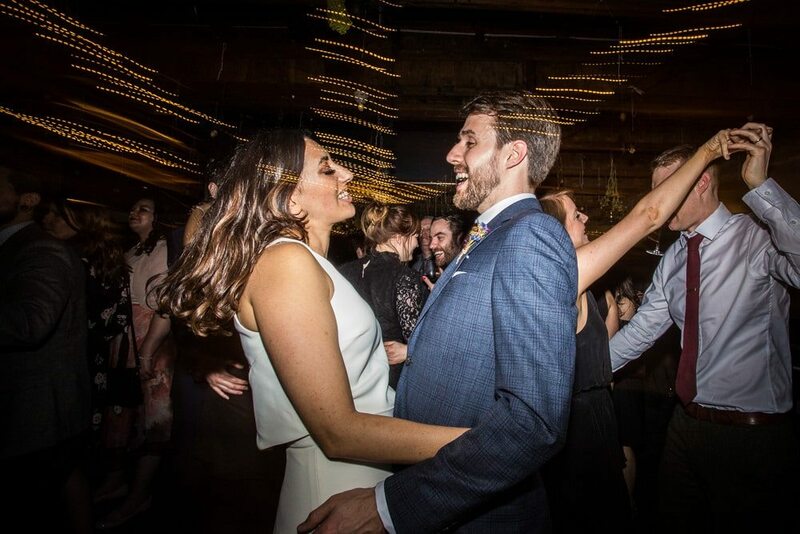 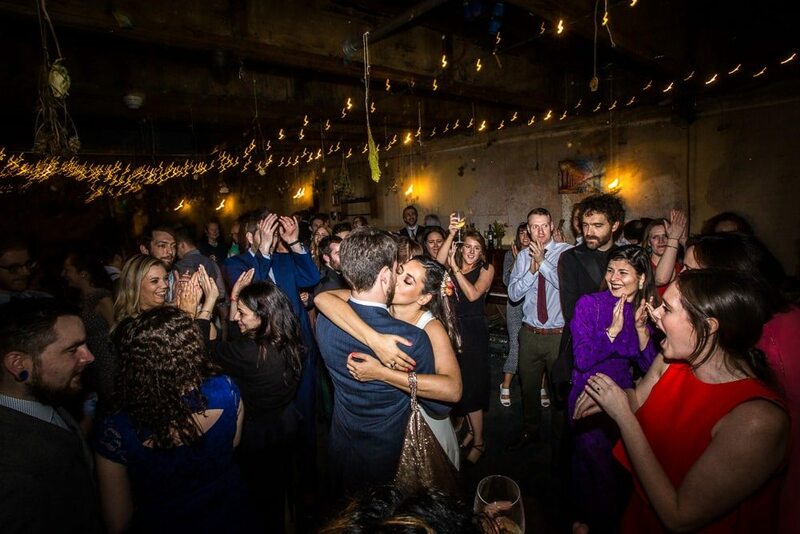 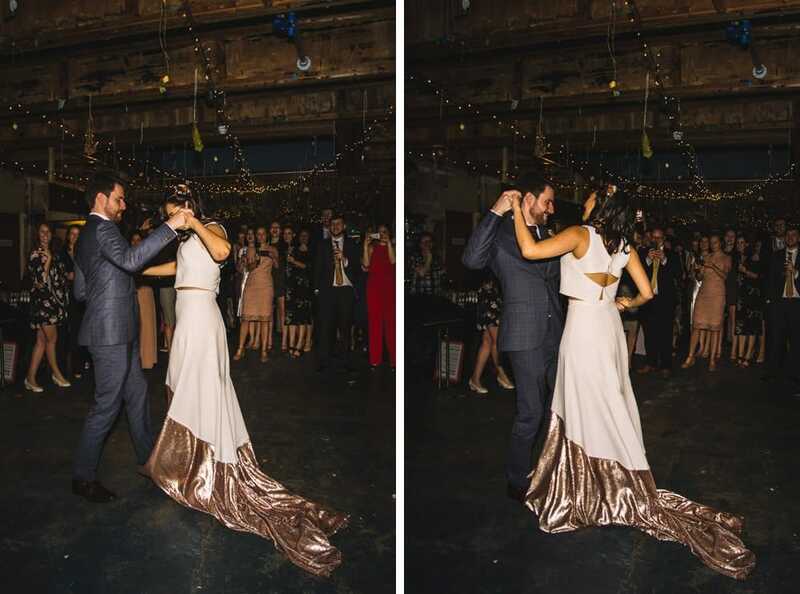 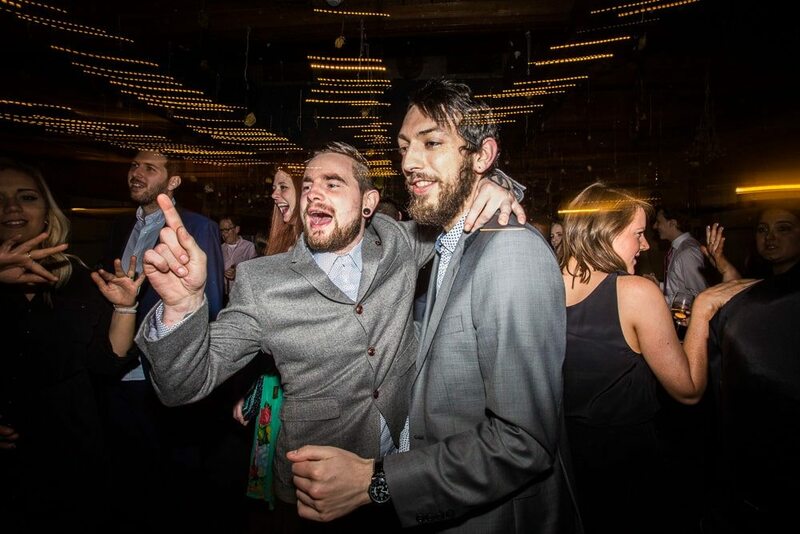 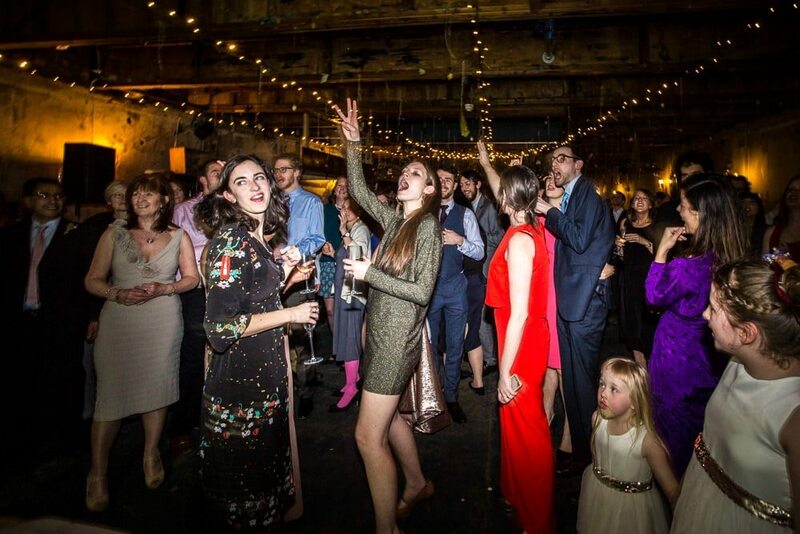 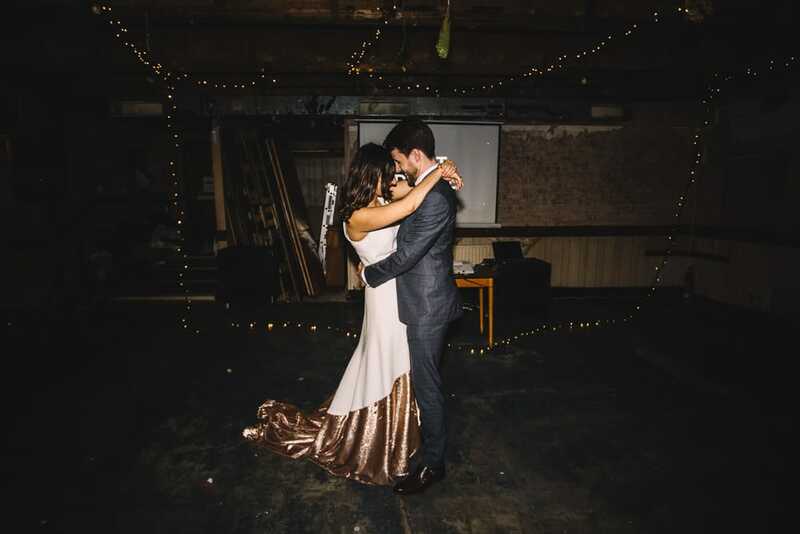 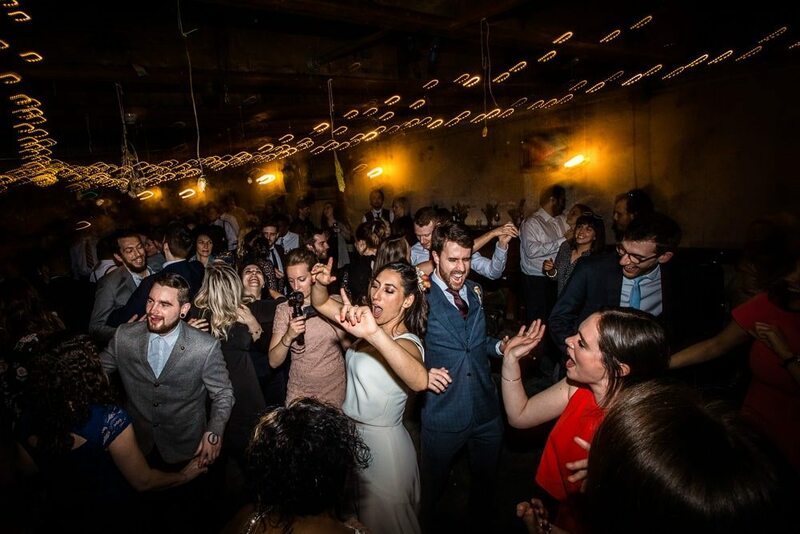 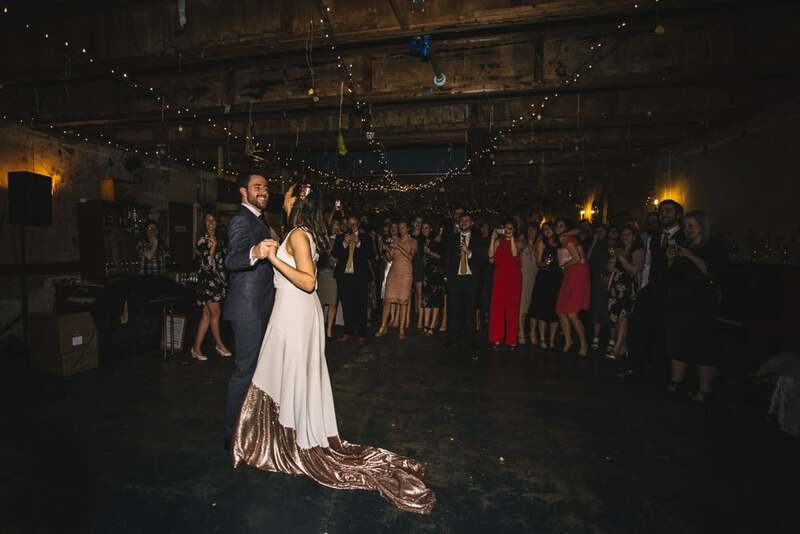 and a wonderful first dance – followed by some of the most enthusiastic partying I have seen! 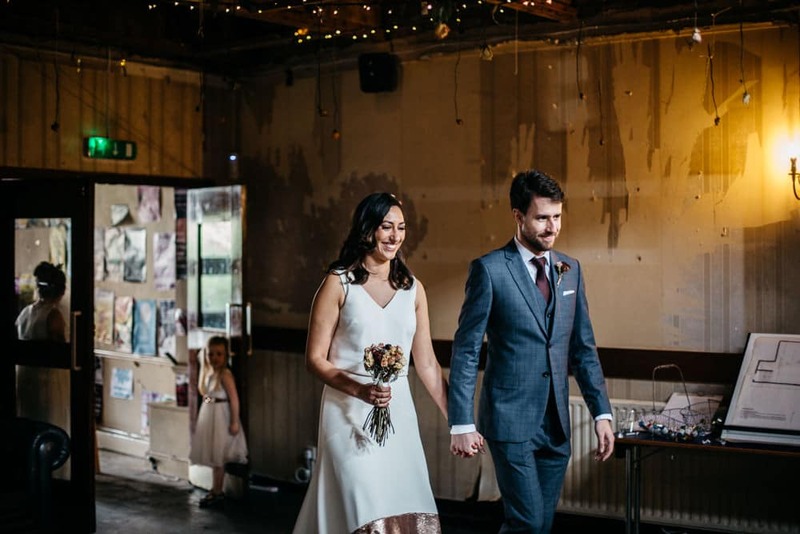 It was difficult to narrow down for this blog post, but I’ll put some of my favourite images below!